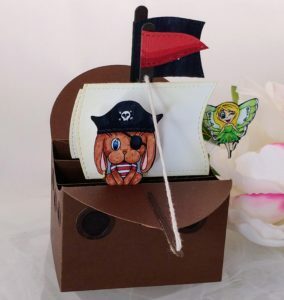 Ahoy crafty mate! 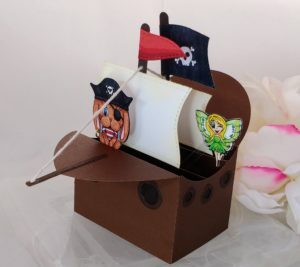 I’ve got a pirate ship pop-up card for you today! It is a modified version of the scalloped box card. 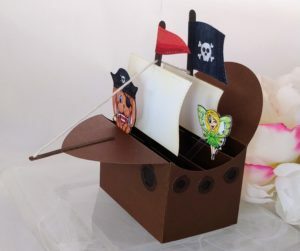 It just took a little die cut surgery to transform it into a pirate ship! Isn’t it fun? 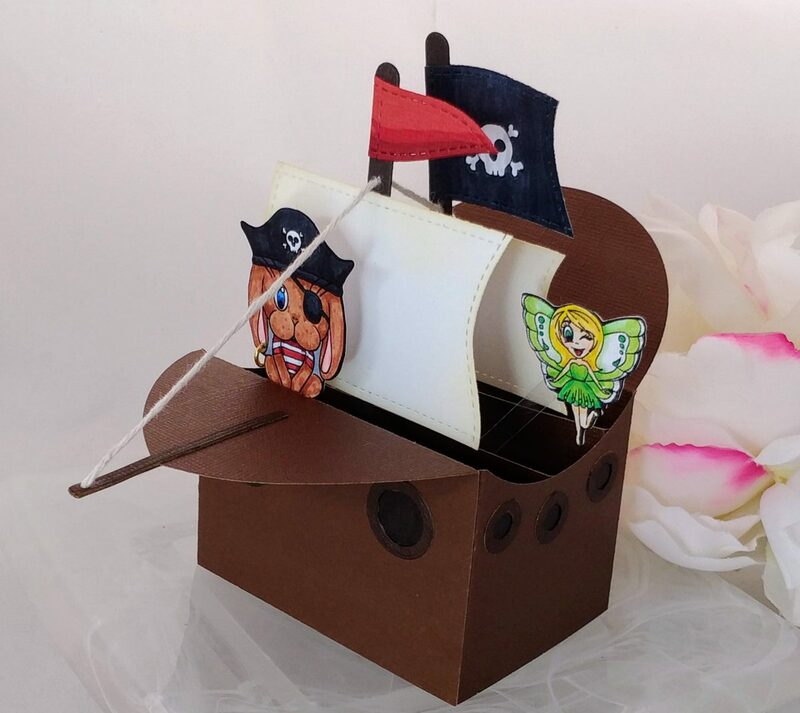 To crew my ship, I enlisted the help of this adorable pirate bunny and this pretty little fairy from Heartcraft Paper. I think they work perfectly together. Have you modified any of your dies to create something new and different? I love getting more use from my supplies like this.